Attention seagrass volunteers! 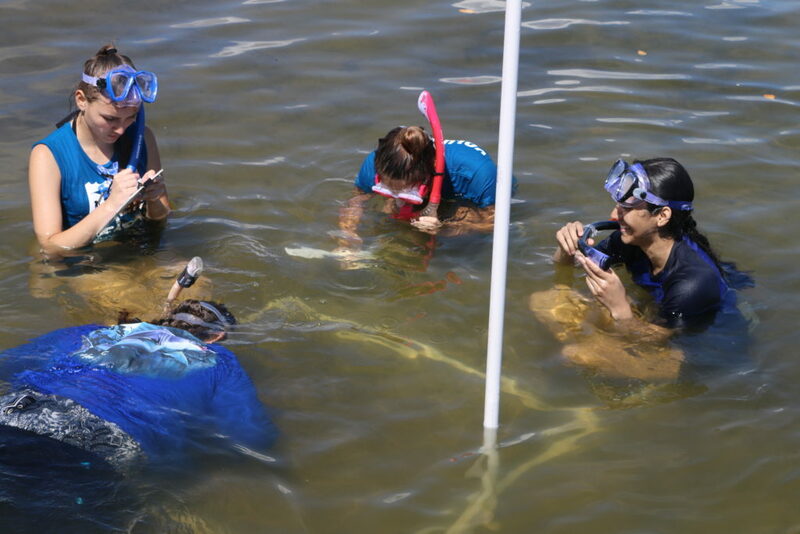 Join us for our monthly survey of natural seagrass populations at 9AM at the Florida Oceanographic Coastal Center and help us document short and long-term trends in seagrass health in the Indian River Lagoon. Be prepared to get wet and please bring closed-toe shoes, mask, snorkel (and weight belt if you have one), appropriate water gear and a change of clothes! Ideally, volunteers will have experience snorkeling and comfortable working underwater as we swim and snorkel up to 6ft. Participants not wearing closed toe shoes will not be allowed to participate for liability/safety reasons.